The PI.lab conference 2018 focuses upon the relationship between humans and technology. The embeddedness of apps, smart phones and the internet of things in most if not all facets of daily life questions the autonomy of human beings. The complex and hard to oversee data economy that has been created over the past decades makes control over personal data illusory, so it seems. Simultaneously, many persons profit from seamless interconnectivity and an abundant supply of services that are personalized and that have become indispensable both in working environments and in daily practices. And people may exercise more autonomy thanks to the help of personalized services. This dichotomy will be elucidated and discussed in this year's conference. "Die Nacht is nicht allein zum Schlafen da"
Self-sovereignty is the phrase that is very popular these days in identity management and is meant as an aim to "bring people back in control" of their identity. 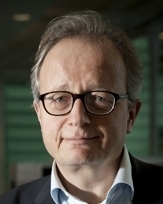 The concept is discussed by Bart Jacobs, professor of computer security at Radboud University Nijmegen, and chair of the Privacy by Design foundation that is operating the identity platform IRMA. The things we do are more and more mediated or facilitated by digital systems and platforms. As a result, digital systems increasingly determine what people experience, know, desire, and do. Accordingly, controlling the digital lifeworld has come to the centre of modern day politics. Will digital technologies empower people and set them free or will they diminish our freedom to think, act an communicate? Privacy and autonomy for patients? Patients are granted new rights to control their data. Health data cooperatives want to monitor their data collectively in order to improve care treatments. People suffering rare diseases organise themselves in order to gather evidence on treatments and medication. Are developments indeed moving in a direction of more informed control for autonomous patients, protecting their privacy? Or is privacy illusory in today's complex care systems? If technological applications become increasingly autonomous, can and should we still trust them? Can technologies be designed in such a way that they respect the autonomy of end-users and therefore deserve our trust? Or have these complex technologies become black boxes, making our trust inherently too blind? This panel will bring together expertise from social psychology, user-interface design, and philosophy of technology to tackle these and other questions related to autonomy and trust. 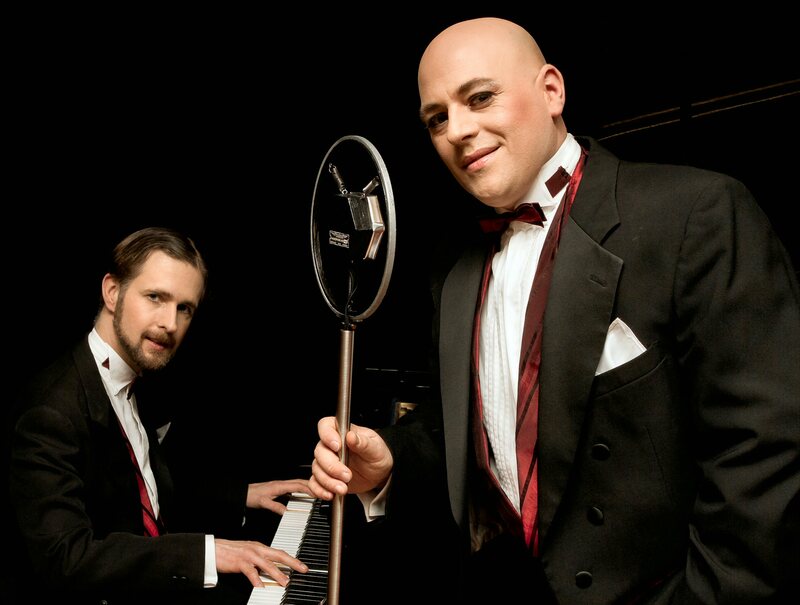 The vaudeville show „Die Nacht ist nicht allein zum Schlafen da …“ features German songs of the 1920s to 1940s, as sung by as Marlene Dietrich, Johannes Heesters and many other singers that are largely forgotten today. These songs tell ordinary and extraordinary stories about people, fashion, faraway countries and, naturally, about love. Sometimes simply hilarious, sometimes pretty much tongue-in-cheek, but at times melancholic as well. They are performed live on stage by professional opera singer Jan Kristof Schliep. The panel will discuss the pro's and con's of the various Self-sovereign identity management approaches: will there be one 'winner' or will there be several co-existing approaches? How will they impact the autonomy of the user? Do they differ in what they offer? What is needed to make the concept of SSI work in real life? What will the benefits be? What pitfalls to expect and conquer? Registration is accepted when payment has been received. Payment: €49,- (reduced fee of €25,- for students and members of NGOs). André Boorsma works at TNO as a researcher/consultant on Personalized Health, especially the relation between nutrition, lifestyle and health. His main focus of work is on the health data part of human nutritional studies. André is currently involved in organizing a personal health data marketplace. A health data market place would empower individuals and could provide them with actionable health advices. Organized in health communities, a health data marketplace could help address health issues that need better research. André is involved in the personalized nutrition and health program of TNO and Wageningen and is part of the TNO core-team that advices the personalized nutrition start-up Habit.com. In addition, André is P.I. of the project Type 2 Diabetes Health Data community. Marlene Gigase is initiator of Positive Health Accelerator, an undertaking that aims to improve participative design processes in health care. Positive Health Accelerator wants to contribute to a sustainable and participative healthcare system in which patients are empowered to contribute to their own vitality and health situation. To facilitate empowerment reliable and useful information exchange is key while interoperability is a condition at all levels. Want to know more? Check out Positive Health Accelerator. Marlene participates in the panel on Privacy and autonomy for patients. 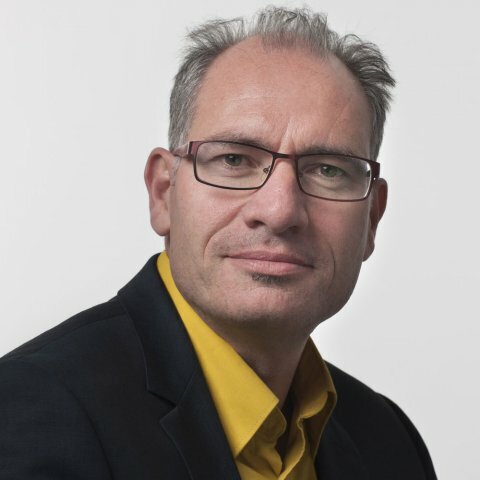 Paul van Helvoort works as a business / innovation analist at CZ Health Insurance. Although I once obtained a master degree in Law I now work in IT. My goal is to identify and implement new technologies that can benefit both our work as an insurance company but also healthcare in general. One of my current areas of research is blockchain. I try to identify possible opportunities this technology offers us. A Self-Sovereign Identity framework is one of those possible opportunities. Paul participates in the panel on Self-Sovereign Identities. Jan-Wessel Hovingh is a UX Designer-gone-rogue. Currently, Jan-Wessel holds a position as senior lecturer at NHL Stenden University of Applied Sciences (NL), besides that, he has been working for over 20 years as a freelance UX / interaction designer and design consultant. Next year, he will start his PhD research on trust and adherence within the design of eHealth interventions. For his master’s degree Design at Willem de Kooning Academy Rotterdam (NL) he redefined the role of a UX designer from the perspective of end user trust and privacy. Jan-Wessel has developed strategies for enabling UX and UI designers to reshape their design process in the spirit of the principles of Privacy by Design. Jan-Wessel proposes that interfaces can be seen as materialized trust and that designers should enable their end users to fully participate in the design proces in order to (re)gain trust in the products they develop. Rieks Joosten is driven by the urge to improve on what he thinks can become better. This helped him play a leading part in developing the fastest asymmetric cryptochip in the world (approx. 1990), the development of Networked Risk Management (NRM - 2010), and in the Self-Sovereign Integration Lab that TNO is currently setting up. Rieks' current focus is on (the integration/interoperability of) various Self-Sovereign Identity solutions that are popping up in the wild, and their integration into automated information processes and businesses. Rieks participates in the panel on Self-Sovereign Identities. Esther Keymolen is Assistant Professor in Ethics, Law, and Policy of new Data Technologies at the Tilburg Institute for Law, Technology, and Society (Tilburg University). Esther has a background in philosophy of technology and postphenomenology. She also holds a Bachelor’s degree in pop music. Her research focuses on the role of trust and privacy in networked and smart environments. In her book Trust on The Line, she develops a conceptual trust model, which she applies to analyze different topical cases, such as: Airbnb, smart toys, and personalized online advertisement. Her most recent academic publication on digital hotel keys can be find here. Esther’s work has also appeared in several newspapers, documentaries, and on Dutch television. Esther participates in the panel on Trusted identities. Iris van Ooijen is Assistant Professor in Digital Communication, Design and Consumer Behavior at University of Twente. She holds BSc and MSc degrees in Social Psychology, and a PhD in Marketing Communication. In her research, Iris focuses on human behavior in digital environments, and specifically on how individuals make privacy related decisions and how these decisions are affected by the design of and communication in the online environment. Central concepts in her research are online trust, privacy concerns, psychological ownership of data, perceived control over data and resistance to persuasion. An important aspect of her research involves the use of nudges or heuristics that subtly influence behavior, such as choice architecture and trust cues. 2017 he works at the Privacy by Design Foundation as lead developer of the IRMA project. Jamie Smith is Strategic Engagement Director at Evernym. Specialising in Self Sovereign Identity, personal data and privacy, he has over 15 years experience helping organisations explore and deploy new technologies to create value for both customers and businesses. Evernym is the inventor of Sovrin, a new global public utility for digital identity. We help organisations and people all over the world to take advantage of self sovereign identity solutions, unleashing new powerful relationships with customers, consumers and citizens everywhere. Jamie participates in the panel on Self-sovereign Identities. Michiel Stornebrink is a consultant at TNO within the Data Science department and has a MSc degree in technology management at the University of Groningen. Michiel works in different projects to improve the interoperability of business to business information/data exchange. He has many years of experience in managing a stakeholder community, chairing work group meetings, information and process modelling and related standardization work. Michiel has domain knowledge of the flexible staffing industry, hi-tech manufacturing industry and e-procurement processes in general. Specific topics of knowledge and interest of Michiel include linked (open) data, semantic modelling and IT/data governance. Furthermore Michiel is one of the lead architects of TNO’s Semantic Treehouse (www.semantic-treehouse.nl), a community platform for data model management. Most of his skills and knowledge come together in the research and development of this application. As director Architecture at Nictiz, Albert Vlug made medical data available at the point of care by the design of a safe national hub for information exchange between healthcare providers. As vice president healthcare at CGI, he is now developing a way to let patients participate in this information flow management between doctors. As lead architect of an Online Consent Facility, available in 2020 for all patients, he provides a way for patients to execute their new rights on consent, if they wish to do that. Besides his technical career, Albert is also philosopher and aims to combine his design thinking with reflection on human values. As father of three children, he was heavenly involved in a medical treatment, experiencing the role of patient ‘from the other side’. Albert participates in the panel on Privacy and autonomy for patients.